Spending Less and Getting More When Shopping for a Car - Muscle Cars Zone! Let`s face it: cars are expensive. That makes buying a car one of the major expenses that a typical American simply must find a way to afford. Dropping a huge amount of money in a single purchase is rough, yet we don`t really have a choice, because we need a way to get around. No wonder that car buying can be so stressful! But you do have choices when it comes to how much you spend on your car, and how to use that money to get the best car possible. Here are some ways to spend less and get more when shopping for a car. About nine in ten Americans own their own cars, but a new car can cost tens of thousands of dollars — some particularly fancy ones even reach six figures. That`s more than most of us can afford, yet most of us need to have a car. Cars are expensive, but that`s not the only reason that so many car buyers spend too much. Sometimes, the real reason for overspending is simple: a lack of self-control. The key to controlling your spending impulses is to prepare a car-buying budget ahead of time. Determine what you can spend in cash and how much debt you can take on responsibly. Write down a number and make a commitment to stick to it. Sticking to a budget isn`t always easy, of course. The sticker price of a car can often go up when you start adding “essential” packages. Be careful, and anticipate needing a little extra room in your budget for such expenses. New cars are very expensive, but they lose a lot of their value when you drive them off of the lot for the first time. On the other hand, a used car that`s old and beaten up can look cheap, but it might end up being pricey when you factor in the higher maintenance costs and potential losses from breakdowns and towing (which are typical of very old and run-down cars). What you should consider is a used vehicle that isn`t too old. Aim for a “sweet spot” in age: you want the first owner to have absorbed the steep drop-off in value that happens very early in a car`s life, but you want to have a lot of quality years of driving this car ahead of you. Shopping for cars can be stressful, in part, because of the dealership experience. Pushy salespeople and limited selections make a dealership a less than ideal place to go buy your next car. You should consider heading to the internet instead. 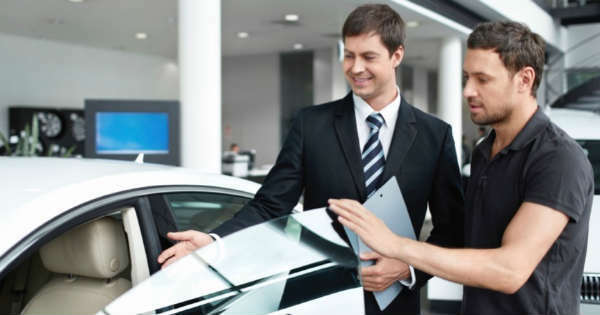 With online car buying, you can shop a broader selection of vehicles and get lower prices. You can also look specifically at online auction sites, where there are sometimes very good deals to be had. Look at used car auctions for opportunities to get reliable vehicles for less money. And you`ll know what a good price is when you shop online, because the internet is also your best resource for finding up-to-date information about used car values, depreciation rates, and vehicle history reports. Shopping for a car can be a bit of a chore, but it doesn`t have to be confusing and stressful. With the right strategies, you can get a great car for a great price.